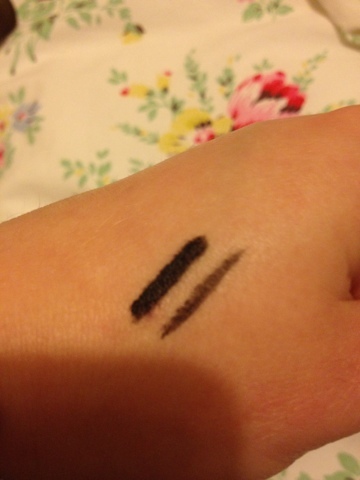 Just a quick post today to show you this Gosh Velvet Touch Eyeliner. I bought this eyeliner recently in Superdrug, I'm on a bit of a hunt for my new "go to" eyeliner since I finished my final Bad Gal eyeliner - the old chubby stick version which was my favourite eyeliner :( - I'm a bit of an eye liner obsessive, even though I only really ever wear black eye liner I have different ones for different occasions - strange I know! 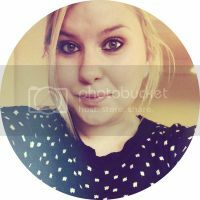 This eyeliner actually really reminds me of the Urban Decay 24/7 sticks, It's got a similar consistency and the pencil tip is similar, it applies lovely and smoothly like the Urban Decay and has a good strong colour. I struggle sometimes with a bit of a Panda Eye effect with some eyeliners, I wear black eye liner on the waterline so it tends to run and end up sitting underneath my eyes, while I've never found an eyeliner that this doesn't happen with after a while (and I don't think I ever will due to where I wear my liner), this has quite good staying power, I get at least 4 - 5 hours before I have touch up! 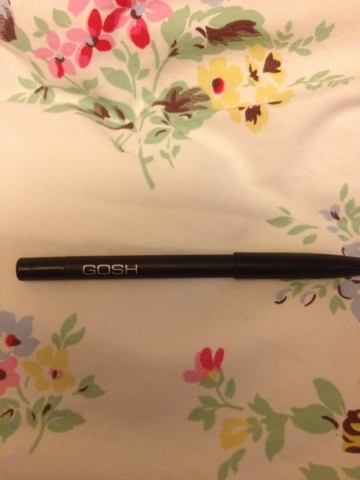 It's one of my first foray's into Gosh makeup and I have to say I'm quite impressed for the price, considering this is only £4.99 - I'm used to paying at least double or more for something that is very similar, having said that, while I do like this, I will probably still end up trying out other eyeliners once this one is used up because it's not quite the same for me as the Urban Decay eyeliner or Benefit Bad Gal. 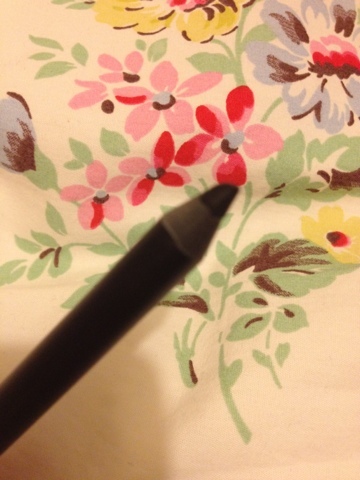 Have you guys used this eyeliner? Any other recommendations from Gosh?